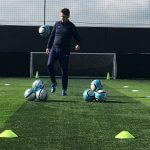 In a regular blog I am going to publish a series of interviews I have done with people I come across day to day in my role as a 1to1 Football Coach. These include players, coaches, managers at all levels and of course parents! My first interviewee is Dan Cousens aged 14 who is at Ipswich Town Academy and a player I work with on a fortnightly basis. Training programme: Tuesdays 2 hours, all day school release on a Wednesday, Thursday: 2 hours, fortnightly:1 hour 1 to1 , Sunday: games. Teams you play against: Arsenal, Spurs, West Ham, Chelsea, Colchester Utd, Charlton, Cambridge Utd, Norwich City, Millwall, Peterbrough, Fulham, Birmingham City and QPR. Touring sides and occasionally EJA sides. Aspirations in football: to play in the Premier League or La Liga but to play at the highest level I can. My football journey so far: I started playing football when I was 5 at a local club called Torquespeed FC. At the age of 9 I also attended a weekly technical session run by a local football company. At 12 I moved to play for Springfield FC in Chelmsford and at the same time started at Ipswich Town PDC. Whilst playing with Springfield I was scouted by Norwich, Colchester Utd and Crystal Palace. After 5 months at the Ipswich PDC I was invited to join the Elite Training Squad. I left Springfield to concentrate on the Elite Squad and joined AFC Sudbury. I played there for half a season and got asked to train with Ipswich Town Academy. I trained there for 10 weeks and the got offered an official 6 week trial. 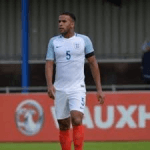 I impressed enough to be offered an Academy contract for Ipswich in December 2017 and I am still there now. Most memorable playing moment: in a game against Chelsea when we drew 4-4 it was one of my best performances. I made lots of critical challenges. The game was end to end and both teams were outstanding. We were 4-3 up with a couple of minutes to go but they equalised! The feeling was awful but at the end of the game was such a high because we had played so well having previously losing 5-1 to them! Improve your performance with personlised coaching sessions aimed at excelling your overall game. Send Fraser a message & he will be in touch. Sessions run for approximately 60 minutes. A typical sessions will be based on information provided by the player on which aspect of his or her game they want to work on. This is discussed before the session so I am able to plan accordingly. Throughout the session there is time for feedback and more discussion on performance. All sessions are focussed on the need of the player and many are adapted as we move through the 60 minutes. © 2019 1 to 1 Football Coach. All Rights Reserved.